This is the second free giveaway Nintendo has thrown to Wii owners, they previously provided replacement straps since many were snapping. 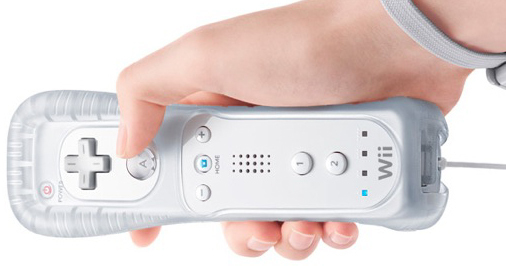 Hopefully with a silicone jacket for additional grip and a stronger wrist strap, Wii remotes will remain in people’s hands and not end up sticking out of expensive HDTV sets. Wii owners should at least be glad that Nintendo is considerate enough to provide these extras for free. To order a jacket hit the link below to call 1-866-431-8367.
thanks so much! i got 4 free wii straps and hopefully will get FOUR gripss!!! i only have 2 wiiremotes lol.